Scattered a couple of miles off the coast near Seahouses, this cluster of islands was declared by broadcaster Sir David Attenborough as his favourite place in the UK to see nature at its best. During summertime around 150,000 breeding pairs of seabirds cram onto the islands. 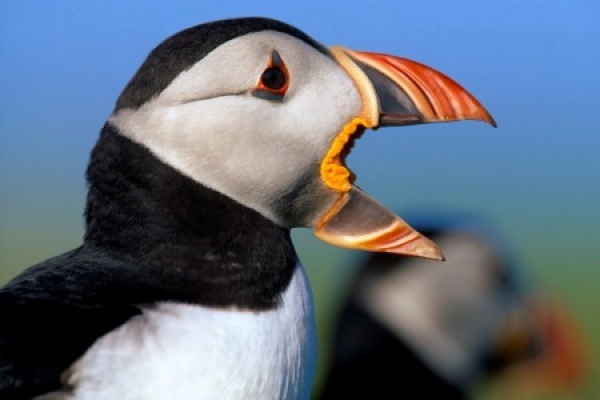 Around 23 different varieties of birds can be spotted here, including razorbills, guillemots, eider ducks and colourful puffins are just some of the varieties that flock here. Boarding the National Trust owned islands takes you right among the nesting birds - which can get closer than you might expect. Arctic terns protecting their nest sites swoop and dive-bomb unsuspecting visitors, so be sure to wear a hat to protect your head. Take a boat ride to the islands from Seahouses with Serenity Farne Island Boat Tours, Billy Shiel Boat Trips or the Golden Gate Farne Island Tours where gaily-painted booking kiosks line the harbour Boats run daily in the summer months and at weekends and school holidays throughout the year, weather permitting. 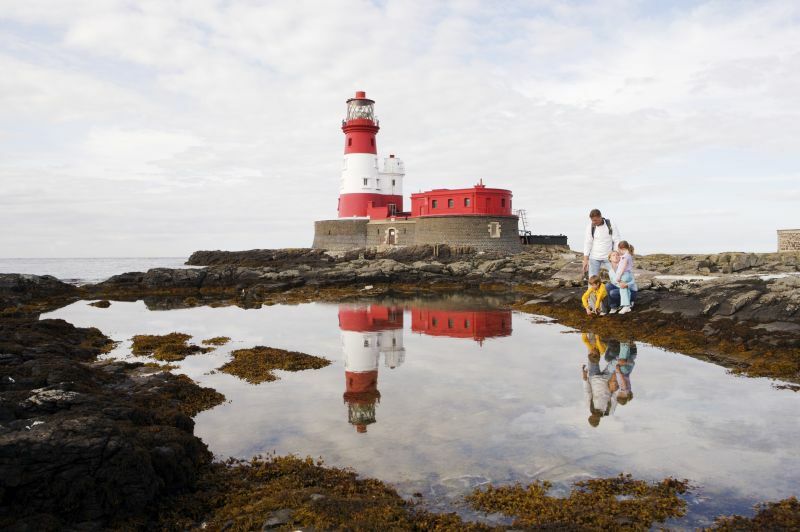 Golden Gate Farne Island Tours offer you the exclusive opportunity to visit Longstone Island as the only boat company in Northumberland permitted to land there and visit the lighthouse. Keep your eyes peeled for the colony of Atlantic Grey Seal, who dwell there.